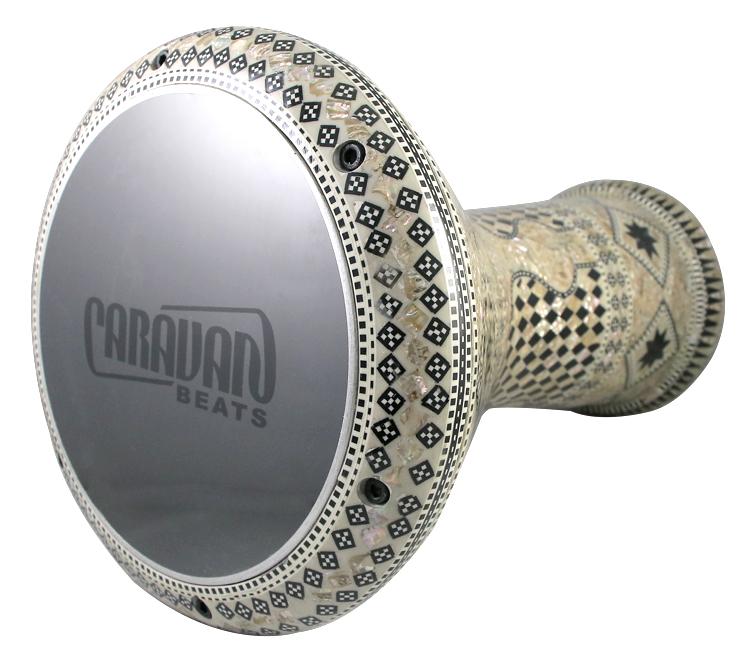 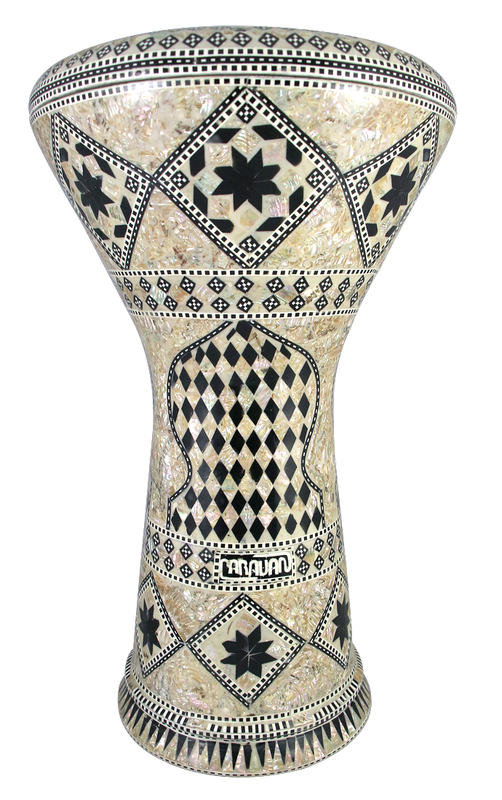 This Pro Series Doumbek/Darbuka (Egyptian Tabla) drum with inlaid Mother of Pearl is crafted in Alexandria, Egypt. The designs are hand-inlaid on to a durable aluminum body which along with a clear synthetic head produce crisp sounding dums and teks. 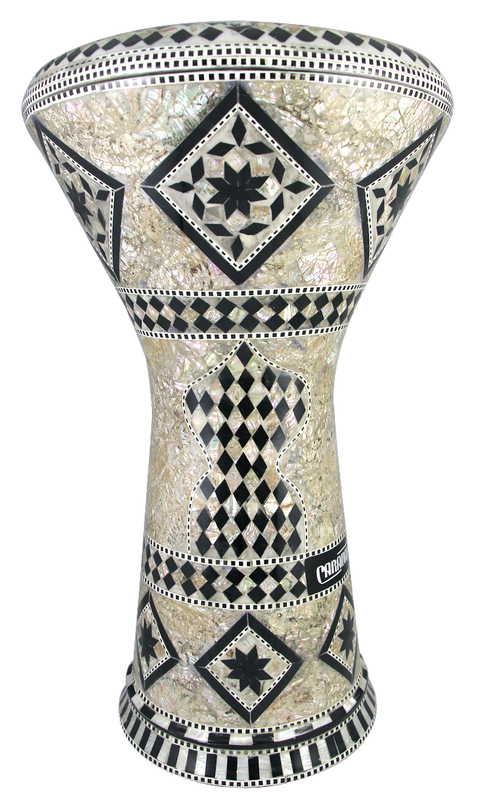 Includes padded carrying bag with strap, extra synthetic head, and tuning key. 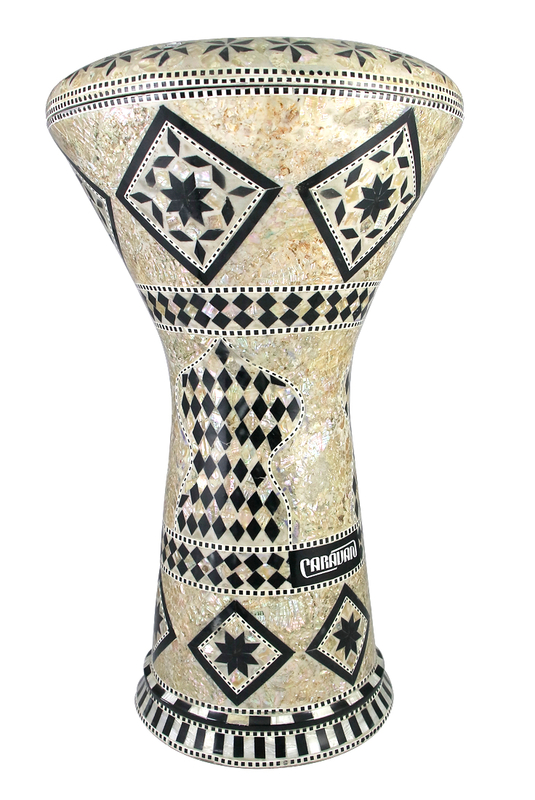 This Pro Series model is a New Generation 2.0 size which features a 18 inch height and a double beveled base which add projection to the sound.